Governor Deval Patrick signed into law the Omnibus Economic Development Bill, which includes legislation regarding Benefit Corporations. This bill went into effect January 1st, 2013, and plans to encourage businesses to make more socially and environmentally responsible choices. Traditional business models focus almost exclusively on the maximization of profits often making it legally impossible for business leaders to make socially or environmentally responsible choices at the cost of profits, while benefit corporation legislation will make it legally possible for businesses to not only maximize profits, but also make socially and environmentally responsible business choices that may reduce profits but have an overall positive impact on the company and society at large. 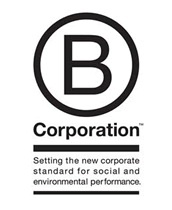 With Benefit Corporation legislation in place Massachusetts can look forward to a more socially and environmentally conscious business climate, leading Massachusetts towards a brighter future for all!